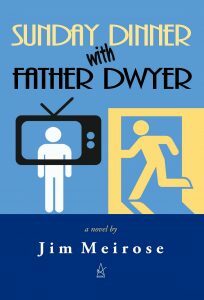 Jim Meirose’s Sunday Dinner with Father Dwyer brings the reader deep into the minds, memories, and hearts of its characters. Meirose’s novel is beautifully-paced, poetic and poignant with exquisite imagery, and captivates the reader inside each man’s experience. Set in the hard world of commercial container shipping, with the satirical “Sunday Dinner with Father Dwyer” a constant presence, Meirose’s characters’ thoughts, actions, and memories provide insights into the human condition and the deepest longings inside us all. Skip and Noman set out on a fully-automated containership as its only crewmen, Johnny Foster is on his own trajectory after a failed attempt to scam crime boss Mackie, and Sunday Dinner with Father Dwyer, a TV show broadcast only on containerships plays 24/7 in the background of Skip’s and Noman’s bleak two-month trip to Shanghai. As Skip and Noman try to cope with the hard labor of ensuring the integrity of the containers, the severe solitude and solvent fumes permeating the ship bring on hallucinations and a questioning of their individual truths, on land and at sea. Johnny Foster fights against poisoning and punishment, unsure of his own reality and his ability to avoid death, sealed in a barrel in the hold as punishment by crime boss Mackie. And Father Dwyer himself begins to fray as he approaches the ending of his show after two thousand episodes, wanting to be seen by an audience he cannot detect. These intertwined stories of hardship and human isolation, in Meirose’s beautifully-paced experimental and poetic prose, carry the reader deep into the minds and hearts of these four men, weaving through past and present experiences, birth and death and rebirth, real and imagined. 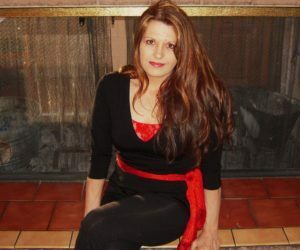 Meirose’s ability to guide the reader into the inner worlds of these men yields powerful insights into the human condition and the longings inside all humans.